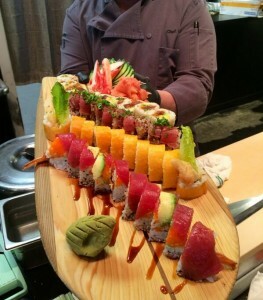 Chef Lee serving one of our surfboards for lunch! Craving sushi? Come in for lunch this week!